Charles G. Lipsey says, that elasticity of demand is the rate of the percentage change in demand to the percentage change in price. 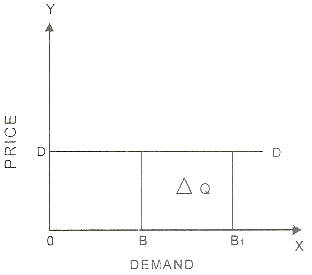 K. E. Boulding says that elasticity of demand measures the responsiveness of demand to change in price. A. K. Chairncross says that the elasticity of demand for a commodity is the rate at which quantity bought changes as the price changes. Demand is perfectly elastic when small change in price bring big change in demand. A small decrease in price leads to big increase in demand. A small rise in price by sellers reduces the demand to zero. It is infinite elasticity of demand. 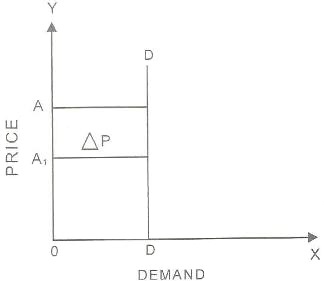 The elasticity of demand can be determined through slope of demand curve. 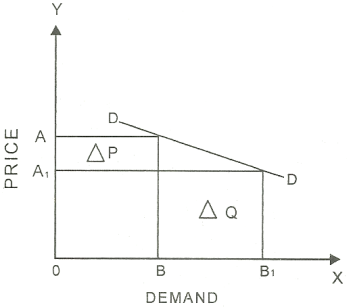 When demand is perfectly elastic the demand curve will be horizontal straight line. 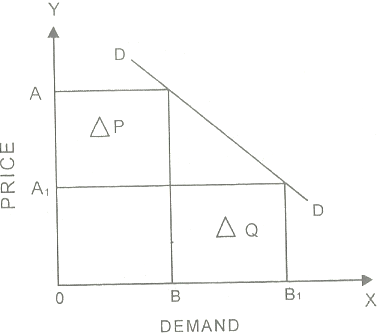 Inelastic demand means that there is no change in demand whether the price increases or decreases. The elasticity of demand is equal to zero. The demand curve will be straight vertical line. Perfectly inelastic demand is important theory rather than in practice. Anyhow demand of a commodity like salt may be perfectly inelastic for many consumers. When rate of change in demand is equal to the change in price the demand is called unitary elastic. The numerical value of unitary elastic demand is 1. Marshal says it elasticity being equal to unity. The demand curve, in this case, will be rectangular hyperbola. The demand is relatively elastic when it is more than one. The in quantity demand is more than change in price. The numerical value of relatively elastic demand lies between one and infinity. According to Marshal such elasticity is called greater than unity. 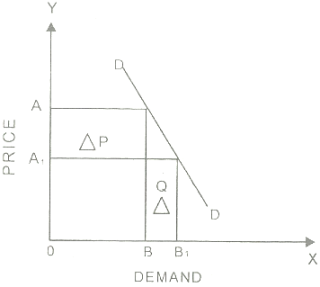 The demand curve for relatively elastic demand is sloping. This concept has practical importance. Demand for many commodities is more elastic. The demand is relatively inelastic when it is between zero and one. The rate of change in quantity demand is less than change in price. Marshal call it elasticity is less than unity. The demand curve for relatively inelastic demand is rapidly sloping. This demand is important in practical life.